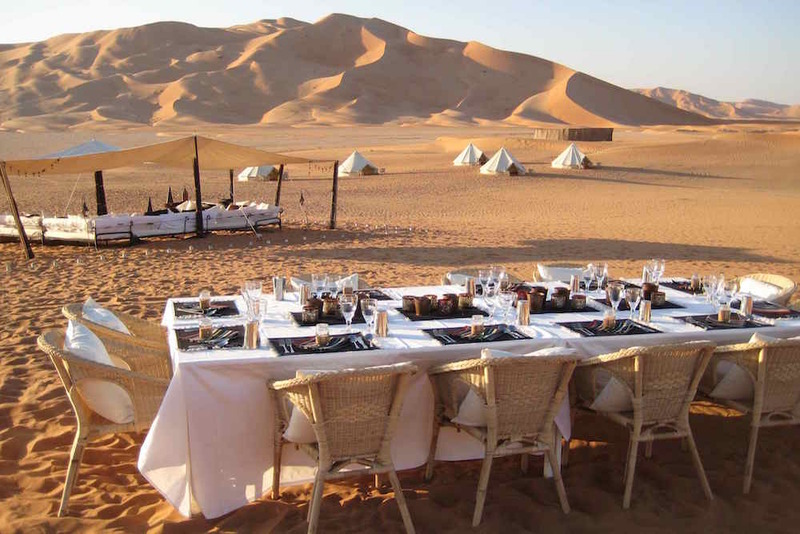 Explore the remote dunes of the barren Wahiba Sands, the soaring Hajar Mountains and the sweeping Omani coastline, all by private mobile tented safari. Discover the old dhow making village of Sur or the vibrant Nizwa cattle market with our expert guides and drivers who can show off their off-road driving skills whilst passing through wadis and along sand ridges. Oman’s rolling sand dunes, rugged mountain ranges and extensive coastlines are interspersed with forts, villages and wadis. Luxury hotels and camps have now sprung up around the country making this beautiful scenery more accessible to the discerning traveller. Muscat is an intriguing Capital, with bustling souks, interesting architecture and a natural harbour. From here you can easily take day trips to reveal the extraordinary interior or simply relax on the nearby beaches. Fly south to Salalah and the Empty Quarter or charter a boat through the Daymaniyat Islands and up to the Musandam Peninsula for even more striking panoramas. From £1,500 per person, for 7 days including accommodation, private guiding, entrance fees and private transfers (not including flights). Most of the houses in Oman are painted white because special permission must be given to use other colours. The Muscat Festival (January/February) lasts for 3 weeks. It focuses on arts and culture in the capital. Salalah holds a similar festival during the summer. Dates from Al Khalas are believed to be of the highest quality. They are often washed down with a glass of strong Arabic, Kahwa coffee. ‘The Feathermen’ by Sir Ranulph Fiennes. A secret organisation traces the assassins of 4 British soldiers killed over a 17 year period. Frankincense is produced from the resin of the Boswellia tree found in abundance in the Dhofar region. It is commonly used in incense. The Alila Jabal Akhdar hotel is built from local stone and offers mesmerising mountain views with the highest level of luxury. 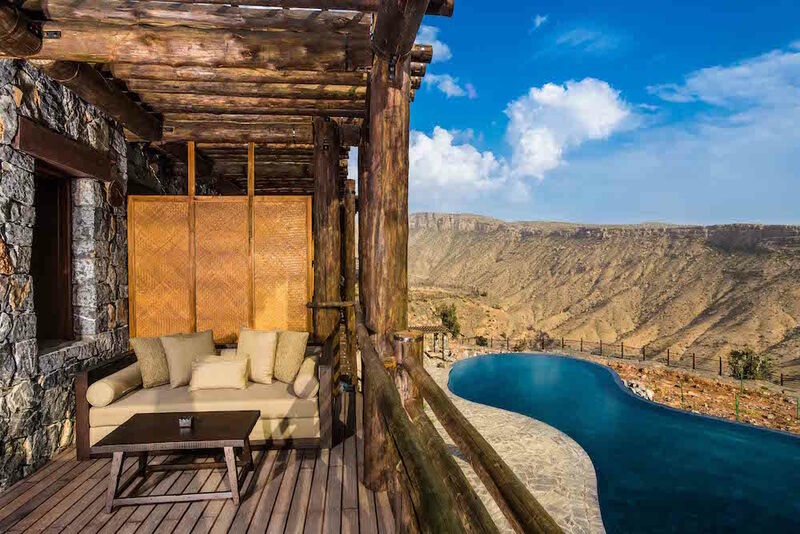 The Anantara Al Jabal Al Akhdar Resort is a slightly cheaper option with equally dramatic scenery, lots of children’s activities and a more modern style. We can also arrange private camps in remote locations for just 2 guests or up to 100 guests. There are numerous desert camps to choose from in the Wahiba sands, where we tend to recommend Desert Nights Camp or 1000 Nights Camp. 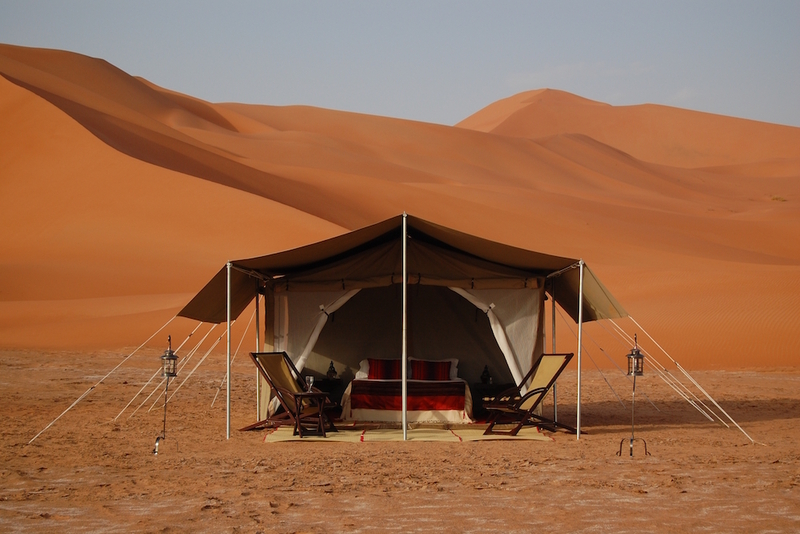 For a more exclusive experience, we can arrange a private glamping setup either in the Wahiba Sands or further south in the Rub’ al Khali desert (the world’s largest contiguous sand desert). The best hotels in Muscat, are located on the seafront. The Al Bustan has wonderful facilities and a Six Senses spa, whilst the Shangri-La is in effect 3 hotels in 1, with a great beach and plenty of dining options. 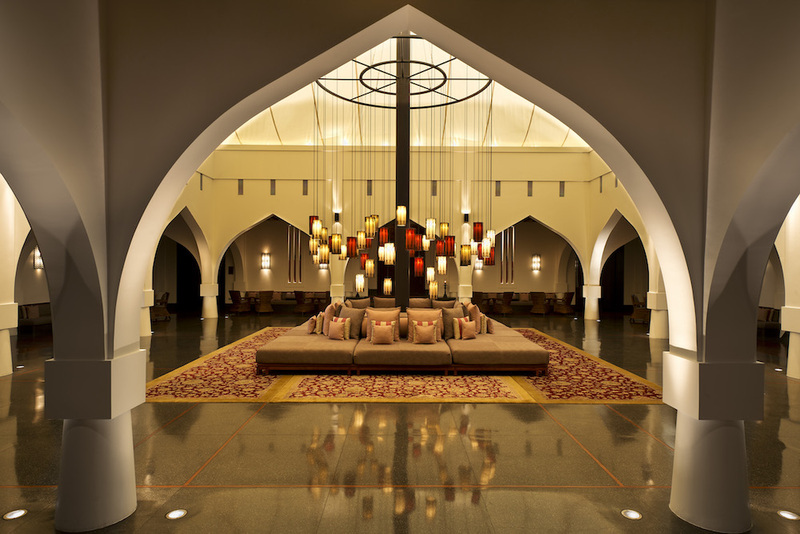 A little closer to the airport is the low-rise and more stylish Chedi Muscat, run by GHM, with Arabian touches and stunning grounds. Fly from Muscat to Salalah to stay at the Al Baleed Resort by Anantara, the only luxury hotel along Dhofar’s south coast. We can also set-up private campsites near Mirbat or close to Muscat and access secluded beaches by boat in the Daymaniyat Islands. For the ultimate barefoot luxury retreat, you can’t beat Six Senses Zighy Bay in the Musandam Peninsula. 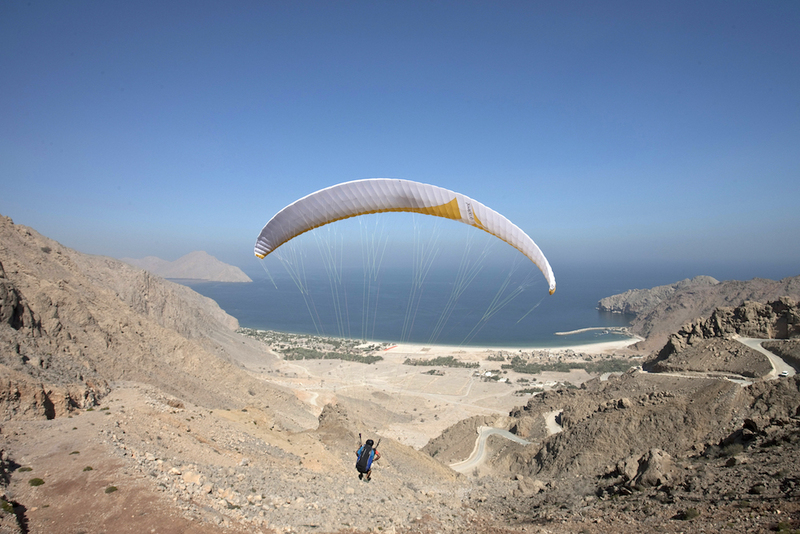 See Oman from a bird’s eye view by paraglide, microlight or via ferrata. Wadi bash and trek your way to a private camp in the middle of nowhere or let us charter you a boat in the Gulf of Oman, to reach uninhabited desert islands. We can also arrange incredible diving, snorkelling, jet skiing, water skiing, deep sea fishing and paddle boarding in crystal clear waters. For a more tranquil experience, discover mindfulness with sunrise yoga and meditation, play a round of golf or watch your favourite film in an outdoor cinema under the stars in the Hajar Mountains. The endless undulating dunes in the Wahiba Sands desert, close to Muscat, are a wonderful playground for quad biking, sand boarding and dune bashing. More authentic experiences can incorporate a camel ride to an exclusive camp from where you can visit local Bedouin villages and learn desert survival skills. We also operate a private mobile tented camp in the Empty Quarter where you can sleep in comfort under a canopy of stars with no light pollution for miles. The desert is best avoided in the summer months from June-September. Oman overlooks the Persian Gulf, the Gulf of Oman and the Arabian Sea, stretching 3,000km from the Strait of Hormuz to the edge of Yemen. Trace the adventures of Sinbad the Sailor along rugged parts of this coastline or where sand dunes flow into beaches. Charter a yacht or dhow through the Daymaniyat islands with incredible diving opportunities and private campsite set-ups. 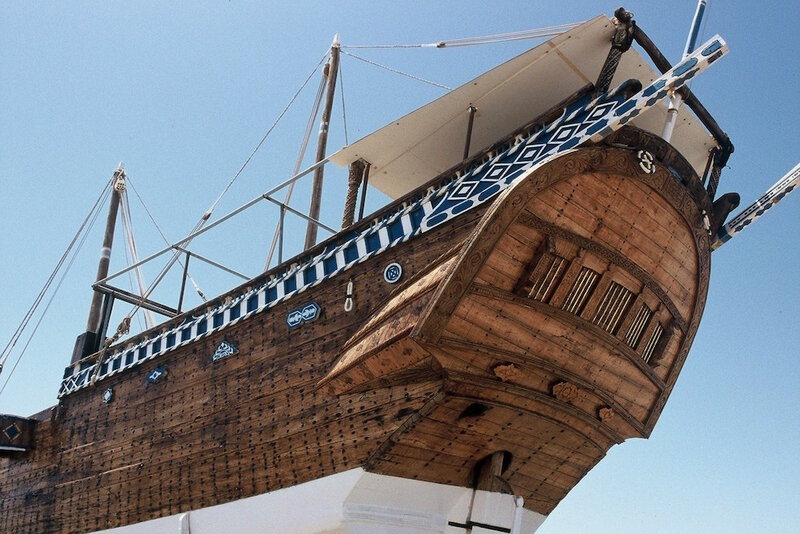 Alternatively visit the dhow building yard in Sur or follow the Frankincense trail in Salalah with a local guide. You might be fortunate enough to stumble across an Arabian Oryx, an Arabian gazelle, desert foxes or wild cats in the desert. 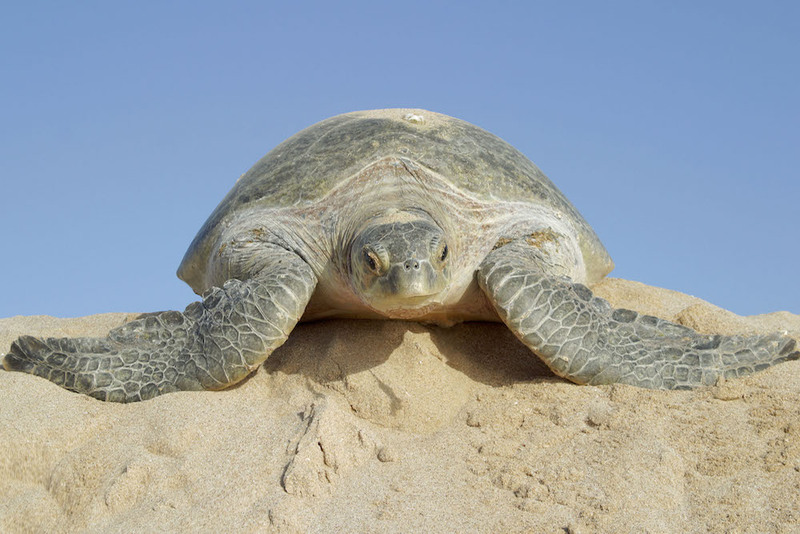 For a more guaranteed wildlife experience, head to Raas al Haad between July-October when thousands of green turtles lay their eggs which then hatch on the beach. Further out to sea, you will find 22 species of dolphin and whale, best viewed from one of our luxury boats or with qualified dive instructor. There is also an abundance of coastal birdlife identified by our resident ornithologist including kingfishers, flamingos, pelicans, ospreys and eagles, most easily observed from Kalouf Beach. The journey from Nizwa to the Hajar Mountains is an adventure in itself. We can coincide the drive with the Nizwa morning cattle market, arrange a picnic lunch and cool off in Wadi Ghul (Oman’s Grand Canyon), then stop-off at the ancient mud brick village of Al Hamra before reaching your destination. We also work with local trekking and mountain bike guides to navigate barely trodden paths in these dramatic landscapes. Jebel Akhdar is best visited in April/May when the Damask roses are in full bloom and you can learn how to harvest the petals into rose water at a traditional distillery. Muscat is made up of a string of towns scattered along the coast, forming a traditional Arabian city. 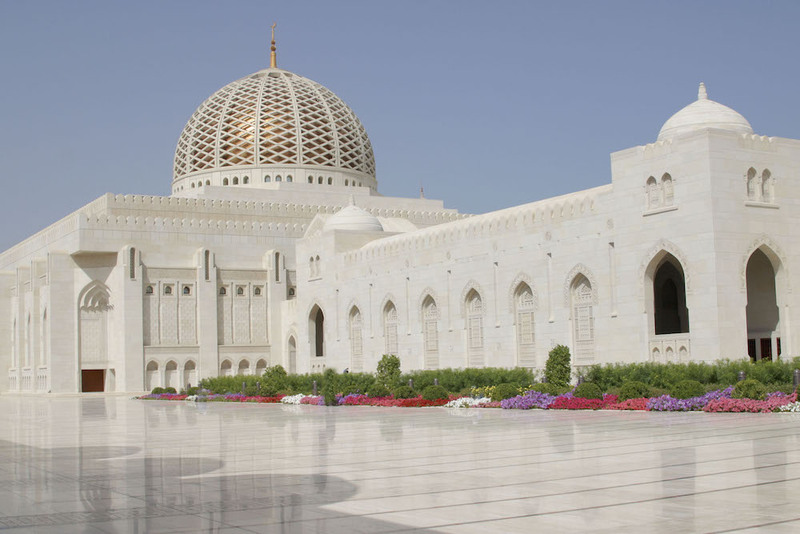 The real ‘wow’ factor of Muscat is the Sultan Qaboos Grand Mosque which houses the largest single piece of hand-woven carpet in the world as well as the largest chandelier made from 8.5 tonnes of Swarovski crystal. Let your personal guide unravel the stories behind the Grand Mosque, Royal Opera House, Natural History Museum, morning fish market and teach you to haggle your way through the Muttrah souk. From Muscat we have some experienced driver-guides to accompany you on a day trip to Nizwa, the Al Hoota Cave, the Hajar Mountains or the Wahiba Sands. 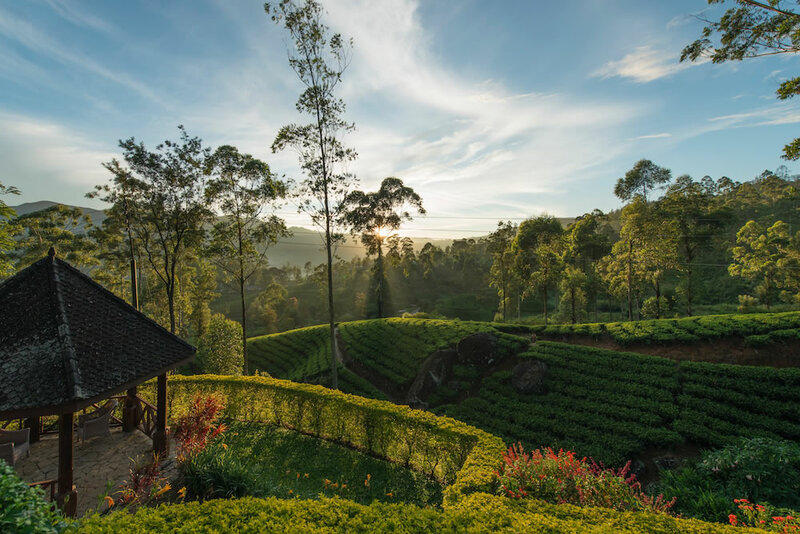 Both Sri Lankan Airlines and Oman Air fly directly between Colombo and Muscat giving the perfect contrast between the copper colours of the desert and the lush green vibrancy of the tea plantations. 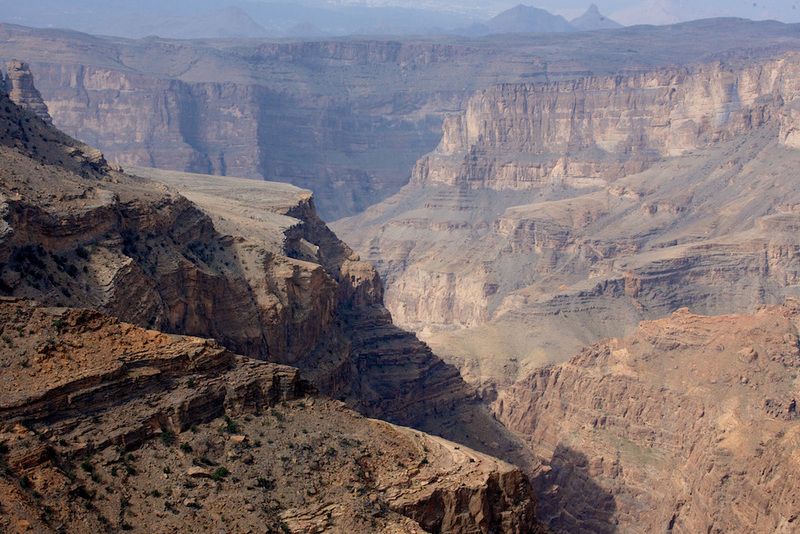 Nepal and Oman offer equally dramatic landscapes and are a great combination for those with a love of the outdoors. 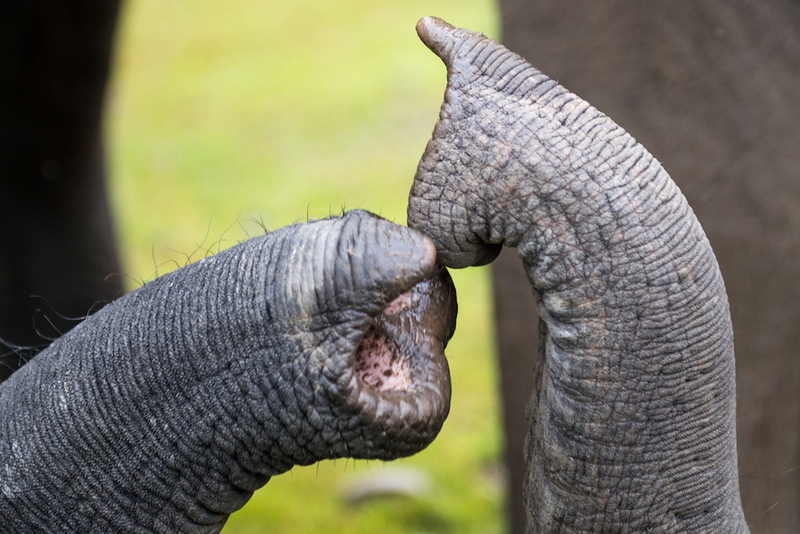 Nepal also offers some incredible safari experiences in Chitwan and Karnali National Parks. 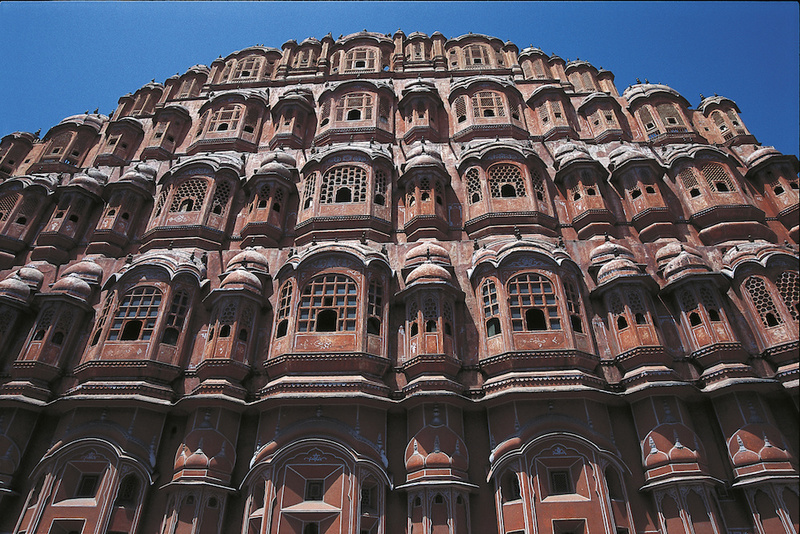 Muscat operates over 10 flight routes into some of India’s main cities allowing you to inject some ancient Hindu culture in to your holiday with incredible temples, opulent palaces and delicious cuisine. This small diverse country is easily accessible from north, south, east and west. It is the perfect destination for private parties in the desert, the mountains or along the coast. Glamping is all the rage and allows us to access remote locations in comfort for up to 100 overnight guests with live entertainment, cocktail receptions on top of the highest dunes and champagne breakfasts in the low lying wadis. We have relationships with the best guides in the country, safe drivers and luxury 4×4’s to ensure any experience in Oman with Wix Squared is unforgettable. Best visited October-April, though it can get a little cooler in December-January. June-August can be unbearably hot in the north but lush and foggy in the south. You might experience some rain at the start of the month when the weather is unpredictable and the hotels still charge peak rates after New Year’s Eve, but it will certainly be a lot warmer than Europe. February has more guaranteed sunshine than January. Feel free to partake in the Muscat Festival celebrations which last all month. 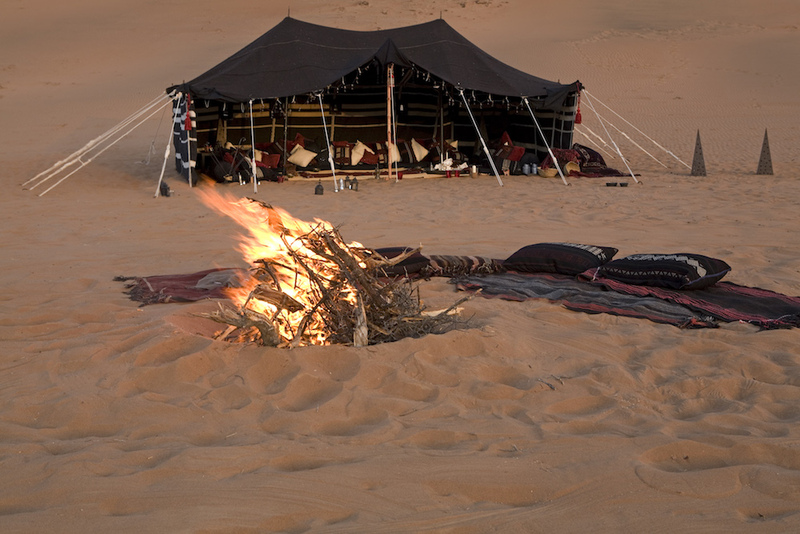 Alternatively head to the Wahiba Sands Desert where we can set up a private campsite for you. March is a popular month to be in Oman with beautiful sunny days when the roses in the Jebel Akhdar Mountains come into bloom creating the perfect backdrop for your private tented camp that we can set-up with dramatic views. With temperatures climbing you might want to avoid the desert towards the end of the month, but the roses are still in full bloom in the mountains and the Nizwa Friday cattle market makes an interesting stop-off point between Muscat and Jebel Shams. 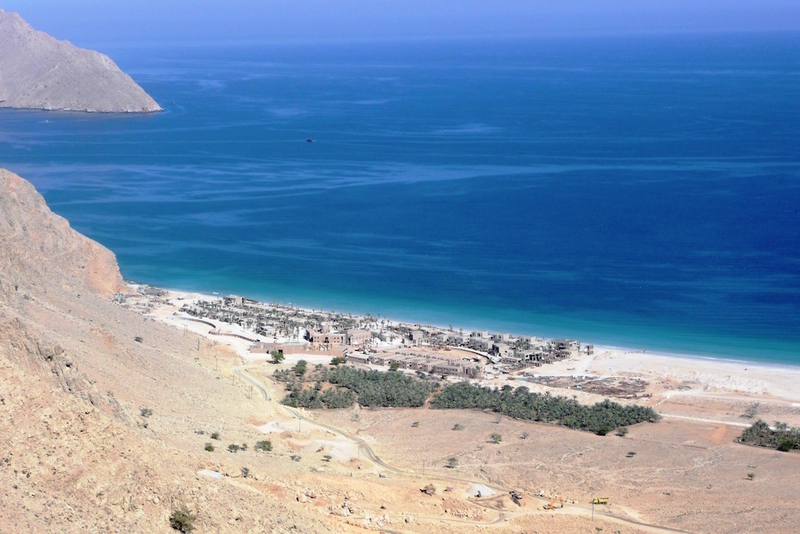 For guaranteed sunshine, May is a great month to travel to Oman. Consider chartering a boat for a couple of nights to explore the Daymaniyat islands and enjoy the sea breeze as you go in search for loggerhead turtles. The weather conditions in Oman tend to be hot and humid in June. This is the start of the monsoon in the south when the locals escape the heat by flocking to Salalah for the summer. Although turtle hatching can be witnessed year round, this is the prime time (July-October) when thousands can be seen at Ras al Jinz. Excursions are best in the cooler hours of the mornings and evenings and en route you could stop at the dhow making village of Sur. Another scorching month with high humidity, hence we recommend relaxing beachside or sheltering from the sunshine in the covered souks of Muscat. September is still nice and toasty and more pleasant than July/August. It is the end of the breeding season for turtles at Ras al Jinz and Salalah experiences slightly more manageable temperatures. This is a great time of year for birdwatching with our resident ornithologist. October is a peak month for tourists to visit Oman with a warm climate making it easy to explore the mountains, the desert and the coast in all their glory with one of our knowledgeable accompanying guides. November is an excellent time of year for Oman. For the more adventurous we can arrange paragliding, microlighting, paramotoring, deep sea fishing and cliff jumping. Alternatively relax in a luxurious spa, set sail aboard an extravagant yacht or go shopping in the souks. Due to it being the festive period, hotel rates are at an all-time high, though for more guaranteed weather, we suggest flying further east.